The general perception about petit mal seizure is that it most often attacks to the children but very rarely to the adult and elderly. 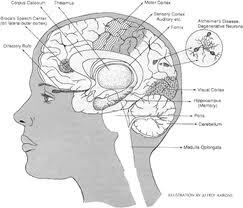 However, population based researches have confirmed that seizure disorders increase in its frequency and commence mostly after the age of 60. In modern times, life expectancy has substantially changed and people are living longer and concurrently acquiring various medical illnesses. Most of the time they are in greater need of multiple medication. Taking into account the medical practitioners are increasingly challenged to properly manage the seizures and related antiepileptic medications in their elderly patients. Other than stoke, cardiovascular disease, brain tumors and epilepsy there is one more disease common in elderly that can cause seizure attacks in them. In reality, the wear and tear of aging process actually predisposes the elderly to seizure. It is estimated that only in United States there are more than five million individual having Alzheimer’s so the challenge is big in front of doctors that patients do not develop a seizure disorder with Alzheimer’s as it places the maximum risk for the of seizure attack. 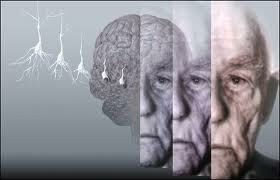 Alzheimer’s disease or AD is a non reversible brain disorder that takes years to develop inside the brain. In elderly, it initiates as memory loss and confusion which is commonly mistook for the associated problem of normal aging. However, these symptoms of AD gradually lead towards personality and behavior changes; the cognitive abilities also show a downward sign and people start having discomfort in recognizing even the close ones and friends. In its extremist stage of disorder, the Alzheimer leads to severe damage in mental functions. This condition of the brain shows a breakdown of the communication of certain neurons. The disorder belongs to the group of dementias group that affects human’s cognitive skills. At the development stage of Alzheimer’s disease the protein called beta amyloid starts building up in the brain and creates a plaque. While researches are being done to determine, how actually it happens, it has been anticipated that this plaque can cause nerve damage in the brain that further lead to the poor cognitive and motor function. These changes are also responsible for increased risk of seizures including petit mal and partial complex seizure. It’s not necessary that AD will surely cause a seizure; however, a risk is always there. The incidence of seizures varies with dementia illness etiology; among all Alzheimer’s disease patients roughly 10 to 22% experience at least one unprovoked seizure attack. On an average, seizure occurs at the final stage of AD, approximately after 6 years of the course of the disease. Doctors estimate that approx 15 percent of Alzheimer’s patients develop seizure in later stages of it, however there are no official statistics behind the statement. Usually it leads to the clssic tonic clonic seizures but there are several evidences that confirm a very mild form of a seizure the petit mal seizure, in which the person is usually unresponsive or cut off from the surrounding for a short period of time.